IF you could save only one movie for future generations, which movie would that be? Let’s say a huge meteor is on its way to collide with earth, resulting in a total obliteration of our planet, and scientists are working with world organizations to send a capsule to space containing a sample of humanity’s achievements and heritage. If it was given to you the choice to pick one movie to be saved, what movie would you pick, and what would be the reasons for your choice? I have my answer in the blink of an eye. 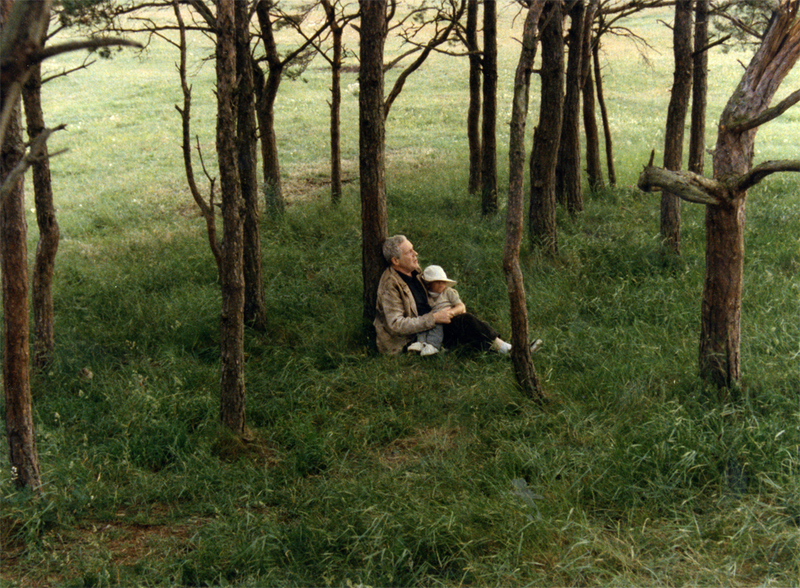 If I had to choose one movie I would – without a shadow of a doubt – choose Andrei Tarkovski’s “The Sacrifice”. 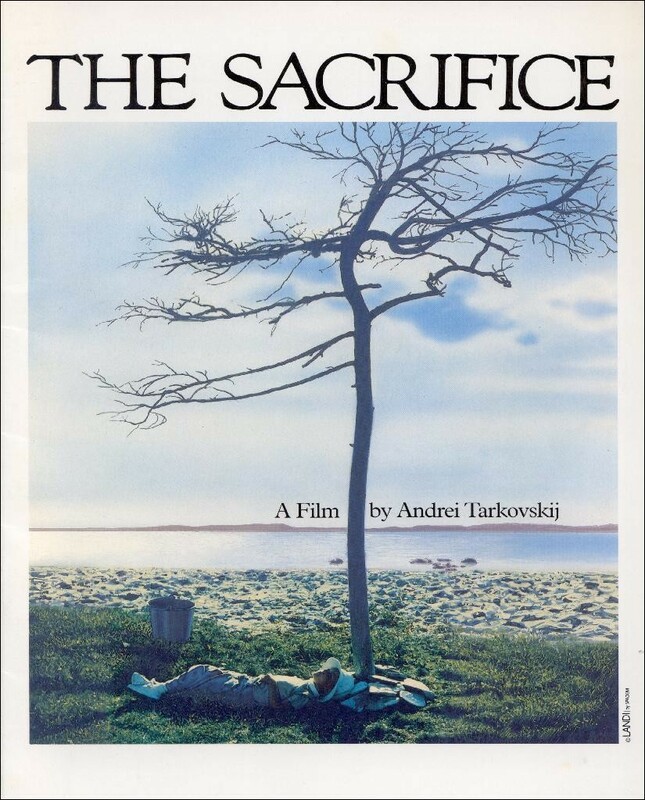 To me, Tarkovski’s “The Sacrifice” sums up every meaningful human discourse put together in a plausible and current plot woven into masterfully orchestrated film-making. Every detail of this movie is a work of art; every nuance a tour de force, every scene a master class. Watching a Tarkovski movie is like taking part in a religious ritual. You embark in a spiritual journey that leaves you in a blissful state of astonishment and awe in face of the unknown of what you are experiencing. It is that intangible quality that gives his movies a sense of the sacred and the eternal. 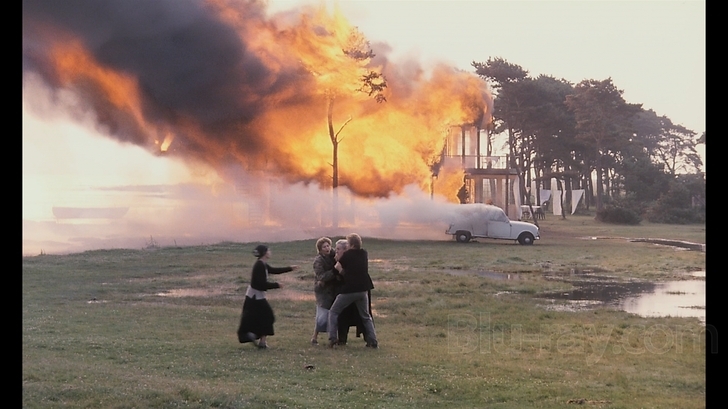 I watched Andrei Tarkovski’s The Sacrifice when it was released in 1986 and my ongoing appreciation for movies was born. Andrei Tarkovski was born in 1932 in Zavrazhye, Russian SFSR, Soviet Union. He died at the age of 54 in 1986 in Paris, France. His filmography consists of seven films, of which the first five were directed in the Soviet Union: Ivan’s Childhood (1962), Andrei Rublev (1966), Solaris (1972), Mirror (1975) and Stalker (1979). The last two films were, respectively, directed in Italy Nostalghia (1983), and “The Sacrifice”, his last one, in 1986 in Sweden. Please note that there are spoilers in the following analysis of the film. 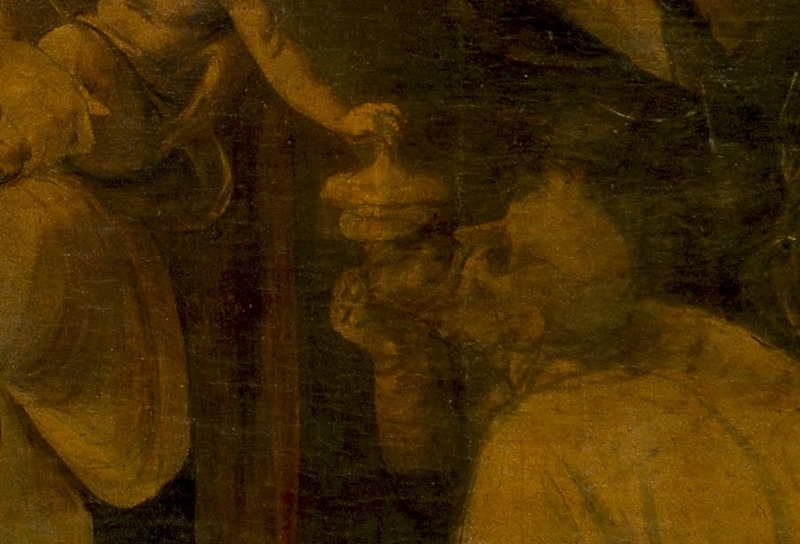 “The Sacrifice” opens up with a detail of “The Adoration of the Magi”(1481) by Leonardo da Vinci. The magi surround Mary as she holds the infant Jesus in her arms. They come to pay their respects and offer their gifts. Mary, baby Jesus and the magi form a triangle that gives harmony and balance to the composition. The Tree of Life representing triumph is in the center, and we observe this scene as we listen to the aria “Erbarme Dich” (Have Mercy) from Bach’s sacred oratorio St. Matthew’s Passion. Tarkovski deliberately wants us to stop and listen. Throughout the movie we will be enveloped in an atmosphere that draws our attention to the moment and the passage of time always marking its presence. This movie demands our full attention. 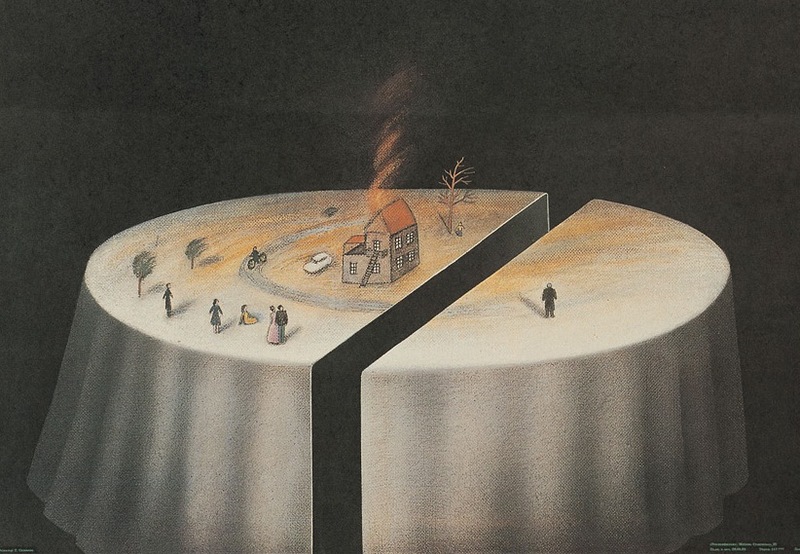 It is precisely in our technological times, when our attention is so fragmented, that Tarkovski’s vision reveals itself so indispensable and vitally relevant. 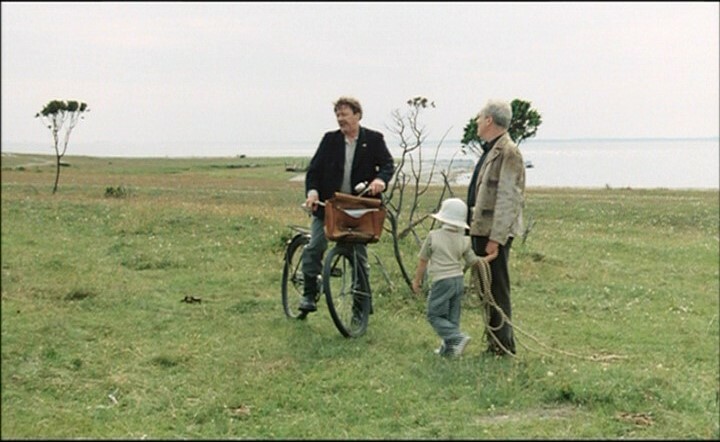 The Sacrifice was filmed on the Swedish island of Gotland, and not on the nearby Fårö as it had been claimed before. 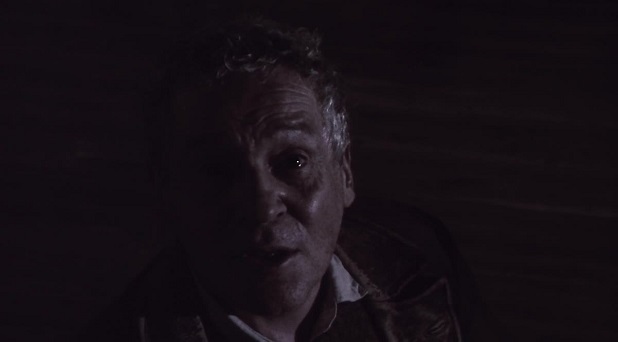 Erland Josephson plays Alexander, a middle-aged retired actor who opts for a life of voluntary semi-reclusion with his son, and stepdaughter Martha, on the idyllic and bucolic island. 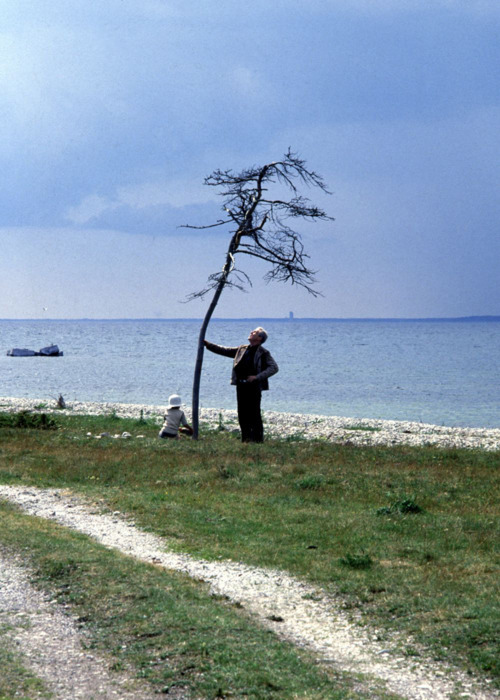 It is the day of his birthday and Alexander and his son, referred to as “Little Man”, are seen together planting a leafless and seemingly dead tree. Little Man is temporarily unable to speak due to a recent throat operation. Alexander tells his son the story of the old monk Pamve who had planted a withered tree on a hill and told his disciple Ioann Kolov to water the tree every morning to bring it back to life. Tarkovski begins his tale by handing out to us this unattainable and clearly impossible task. We are now introduced to an interesting and pivotal character named Otto, played by Allan Edwall. Otto, now retired, used to teach history at a secondary school. He is now the local postman, a part-time job he took to help fund his peculiar hobby of collecting odd, paranormal incidents. This scene where Otto meets Alexander and Little Man turns into a philosophical discussion on Nietzsche’s theory that the universe is bound to repeat itself in a cyclic evolution where humans will therefore experience the same events over and over again ad infinitum. When Otto leaves after the conversation about the oscillating model of the universe, Adelaide (Susan Fleetwood) and Victor (Sven Wollter) arrive by car. Victor is the family doctor, and close friend, who performed the surgery on Little Man. Adelaide is Alexander’s distant wife, herself an actress, who seems to struggle with her husband’s choice of cutting short his career as an actor to live as a recluse while working as a journalist, critic and lecturer on aesthetics. Adelaide appears to have a co-dependent relationship with Victor, a fact that becomes clearer as the story’s main event unfolds. Alexander’s monologue, or rather, his conversation with his son begins by recounting how he and Adelaide encountered the house they now live in. Soon, his discourse becomes confounded and crestfallen. According to his observations, our material development came about at the expense of spirituality or a more meaningful existence, which corroborates Nietzsche’s idea of the fearful void swallowing us up. Alexander’s dispirited views on humanity, and the way evolution is leading the world to its own demise, carry him into a state of nightmarish visions and panic. Tarkovski’s approach to his films was always carefully planned. He had a precise vision of what he wanted to accomplish and how he wanted us to experience his films. Every cinematic component had a far-reaching and substantial symbolism to the scene. From sounds to color; from the dialogue and silences to film effects, his movies – and in particular “The Sacrifice” – pulsate with the presence of life in a space and time that engages the viewer in a total connection with this experience in its most fundamental realization. Thus posits Otto, upon presenting a framed genuine map of Europe from the late 1600’s as his birthday gift to Alexander. When he states that a gift carries in itself an act of sacrifice, Otto sets the tone of the movie. This is a character that can be interpreted as Alexander’s Über-Ich (Super-ego); the very essence of the ideal models of one’s conscience. The old map of Europe has a striking symbolic effect as we consider the event that follows, and Alexander’s act of redemption in the end. Victor’s gift also introduces a suggestive element. He gives Alexander a refined book of charming and delicate icon paintings. Alexander is pleased and fascinated with the book images as he pored over them and recognized the profound wisdom, spirituality and childlike innocence that humanity seemed to have lost over the years. To him, the images are like a prayer, and so is this movie: a prayer in the most profound and seminal act of creation. Both gifts, the map and the book, point towards something vital that has been lost and that is imperative to the survival of our civilization. Two important characters are slowly making their presence subtly felt. First we see Julia, played by Valérie Mairesse who is a kind of nurse-maid or governess, extremely protective of Little Man. And Maria, played by Filippa Franzén. Maria is a secretive and mysterious character who lives alone in a nearby house, and who seems to inflict fear on Adelaide. She is, however, described as a witch with seeming supernatural powers, in Otto’s opinion. As we were already expecting from the initial developing ideas in the film, a convergent state of chaos and disorder had been set into motion and the pressure created reached its maximum and brought about the predicament the characters are now facing. The world seems to have come to an end. It’s WWIII – a nuclear holocaust, the ultimate catastrophe. The characters are stupefied, in shock. 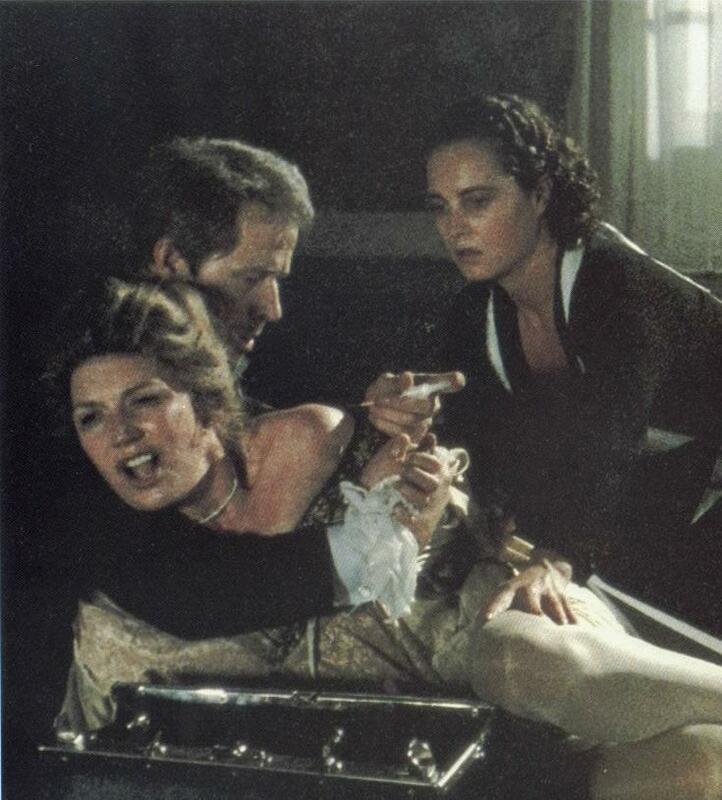 Adelaide bursts out into hysteria and needs to be medicated. Alexander is perplexed, afraid, realizing the culmination of all his fears. From the first scene to the last the camerawork is inconspicuous. Tarkovski uses his camera as if the space were moving around his characters. Each scene has a fluidity that involves us in such a way that we feel part of the narrative. We also feel the presence of time and the burden and terror of our own existence in a world devoid of meaning where we look at each other for answers we are unable to get. Apart from Bach’s aria, the only other music we hear is the intermittent melodious Zen-like atmosphere brought about by the sound of the bamboo flute played by Watazumido-Shuso in Alexander’s stereo system. The other sounds are brilliantly orchestrated by Swedish sound mixer Owen Svensson. We hear every single nuance of a multitude of sounds that gives us a sensorial experience unparalleled in the history of cinema. It is particularly haunting the woman’s cow calls we hear in the background and which permeates throughout the film. We hear the grass brushing together in the wind, the leaves in the trees, the creaking sound of the floorboards in Alexander’s house, flowing water, the rumble sound of the jets in such a multilayered composition that feels natural, and organically in synchrony with the scenes. In his darkest hour, when all hope for salvation seemed to have vanquished, Alexander sits on the floor and addresses God, looking straight to the camera, into our eyes. It is an emotional and sincere moment. 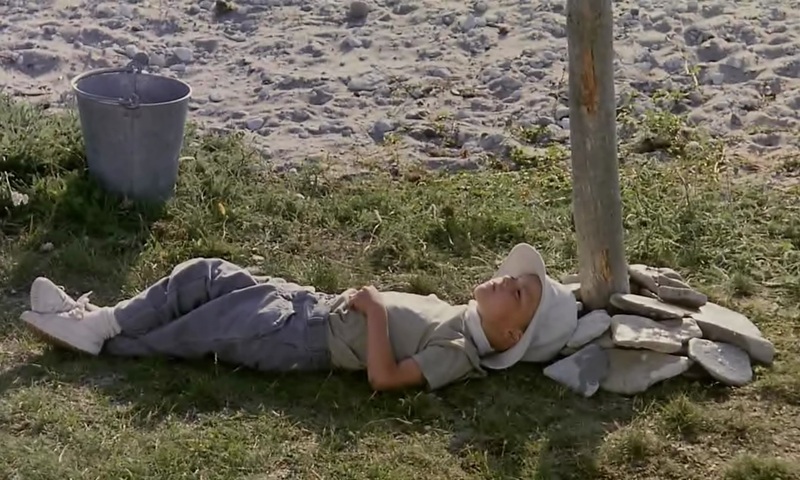 In the beginning of the film, when he is talking to Otto by the seashore after having planted the dead tree, Alexander tells Otto that his relationship with God is nonexistent. When he’s looking at the icon paintings on the book Victor had given him for his birthday, he declares that humanity lost that profound spirituality and purity, and that we don’t even know how to pray anymore. Now Alexander feels impelled to go deep within himself and pray. It is a long and fervent prayer where he makes the ultimate sacrifice. He promises that if God delivers his family and friends and gives another chance to humanity he will abandon his family, his house, even his beloved son, and live forever in silence. He is determined to redeem himself and the world for the excesses we have committed in our material evolution. He concludes his prayer and sleeps while contemplating the horror of this moment in his dream. Otto wakes him up and tells him he needs to go see Maria. He needs to sleep with Maria in order to save the world from total destruction; it is the only way, he says. Alexander, initially reluctant, goes to Maria’s house. When he meets Maria, his hands are covered in mud because he fell off the bike on his way there. She washes his hands and again the symbolism of the water and the cleansing is striking with ample connotations. They embrace and make love while levitating and spinning gently above the bed. This is one of Tarkovski’s signature visual effects. It’s almost an act of transubstantiation. In the Eucharist the bread and wine is transubstantiated into the body and blood of Christ. Here Alexander and Maria go beyond their physical bodies and attain the sacredness of that timeless moment. The morning after, Alexander wakes up on the sofa he had fallen asleep the night before, after he prayed and made his promise to renounce his life for the sake of his son, his family and the world. Was it only a dream? Has it all happened? Regardless of what really took place, Alexander is now determined he cannot go back and he knows he must come through. While the others are having breakfast he leaves a note asking to not be disturbed because he couldn’t sleep the night before. When they leave for a walk, he puts his plan into action. Dressed in a black Buddhist-type robe with the yin-yang symbol on his back, Alexander sets his own house on fire. All the others hurry back to the scene in complete shock. Alexander tries to speak, but then quickly realizes he promised never to utter a word for as long as he lives. He is certain he made the right choice and his sacrifice saved the world. All the characters are there with him: Adelaide, Victor, Julia, Maria and Otto all confused and shocked to see Alexander in such state. The ambulance arrives and Alexander is taken away, surprisingly at his own will. Only Little Man – played by Tommy Kjellqvist – is not present. We see Little Man alone, carrying two buckets of water. He waters the dead tree, and lies down under it, resting his head on its trunk. Bach’s aria is plaintive: “Have mercy, My God, for the sake of my tears”. For the first time in the movie we hear Little Man speak. He recites the first sentence of the first verse of the Gospel of John: “In the beginning was the word”. Then he asks: “Why is that Papa?” The camera pedestals up to the top of the dead tree. The prayer is completed. The Sacrifice is a movie to be watched over and over again. It’s a testament to humanity and artistic achievement of the highest quality in the history of film-making. Andrei Tarkovski knew very well what he wanted to convey and worked with artists and technicians who understood and trusted him unconditionally. 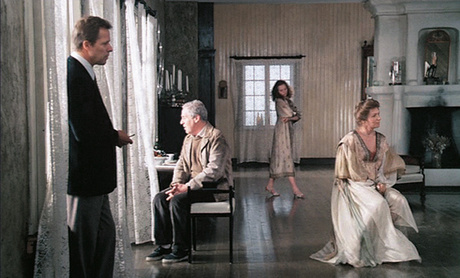 Sven Nykvist was the cinematographer, and together with Tarkovski, applied considerable amounts of color reduction to the film. This technique gave the ethereal quality and range of emotions we experience in every shot. The bottom line: the cinematography is impeccable. I could go on and on raving about The Sacrifice. It is a movie that needs to be watched quietly and attentively. It is a meditation on life; a universal call to prayer, but not in the religious sense of the word. The Sacrifice is not a religious movie, but it is a movie about the human spirit and its quest to improve the conditions of life. It touches the very core of our vulnerabilities as a species trying to come to terms with the complex world we have woven around us. It asks profound questions, but it does not give us any simplistic answers. It lays out the fabric of our lives before us so we can contemplate and investigate our motivations that clearly lead to the quality of life we are creating together. 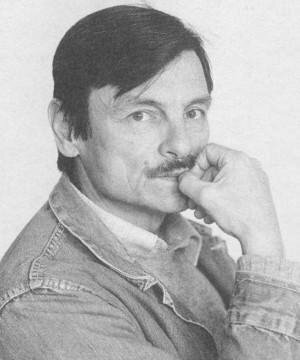 In a world where words do not mean much, Tarkovsky silently underscores the need for integration. Structurally speaking, the movie is also subjected to the overarching concept of the “eternal recurrence” which was introduced right from the beginning by Otto in his philosophical reflections with Alexander about Nietzsche. At the end, Little Man addresses the father when he asks his question about Creation. Alexander is gone and cannot provide him with any answers. Little Man is alone and God is silent. The answers must come from within. We are the creators unraveling the mystery of life. Wonderful post! I have watched the movie a while ago, and now you have made me watch it again to feel all these emotions and discover new ones! ← AM I A MAN DREAMING I AM A BUTTERFLY, OR AM I A BUTTERFLY NOW DREAMING I AM A MAN?